Environmental and social mobility challenges are becoming more relevant. 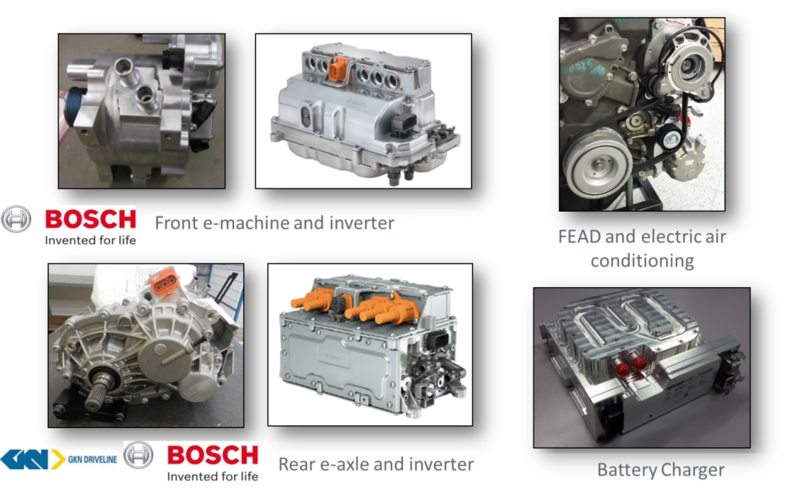 To pave the way to this green, clean and efficient mobility vision, towards the long-term goal of a sustainable completely zero emission future, electrification is one of the most promising solutions. 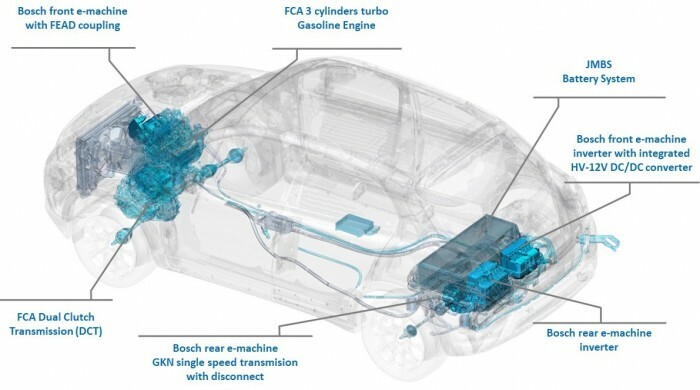 In the short and mid-term, to support a wider diffusion of electrified vehicles, it is essential to find solutions able to satisfy the typical customer expectations, in terms of costs, higher performance (fun to drive), better driveability and comfort, improved usage flexibility, and new functionalities. 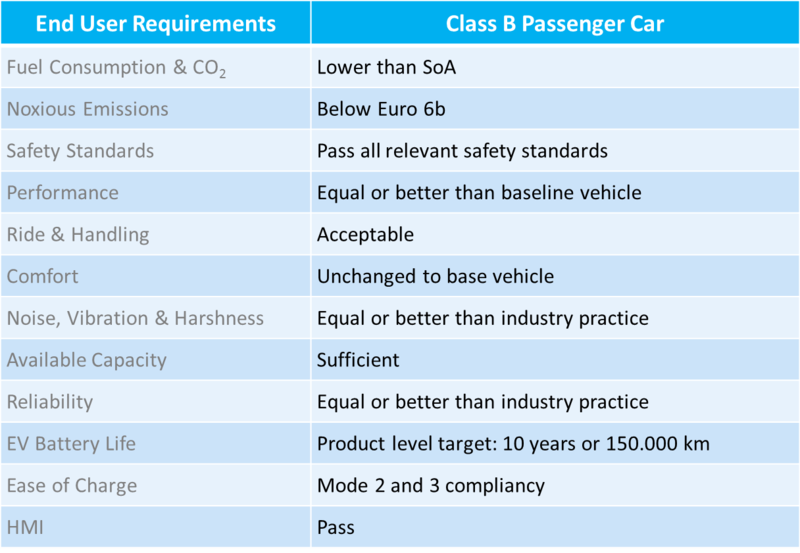 The hybrid architecture selected for the B Class passenger car aims to give an answer the environmental requests and the private user needs, through a plug-in solution (enabling a pure EV mode for tens of kilometres), an improved regenerative braking strategy and an electric 4WD capability (with higher dynamic and efficiency in comparison to a mechanical system) plus a wide impact (not only for zero to near-zero speeds (depannage)). assess through vehicle level test (dyno. 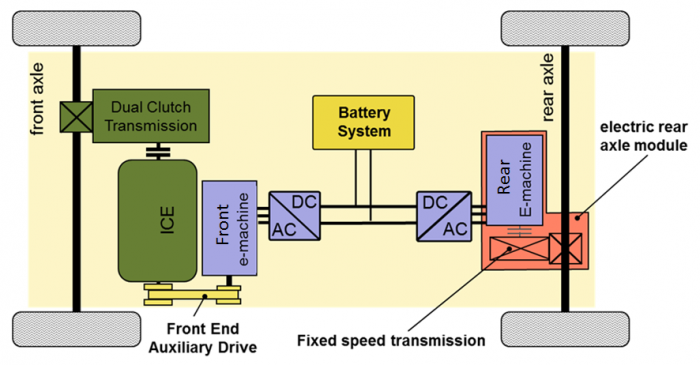 bench and track) the developed solution, optimising fuel efficiency as well as driveability and safety (enhanced as result of the e-AWD capability). 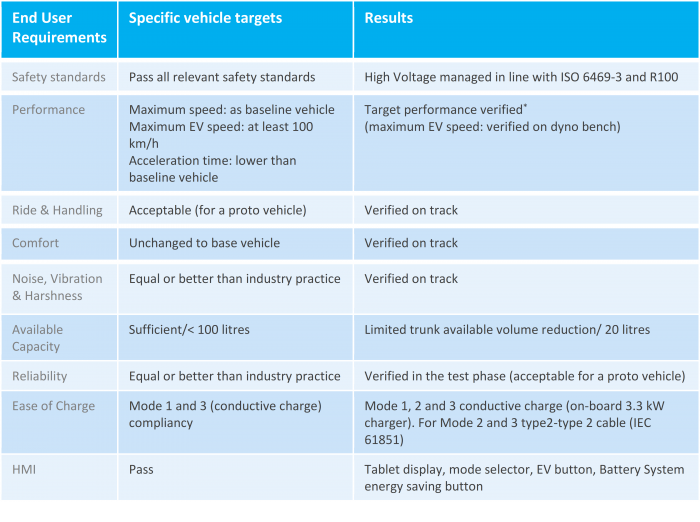 Table 2 Main targets for the end user requirements for the city car demonstrator. 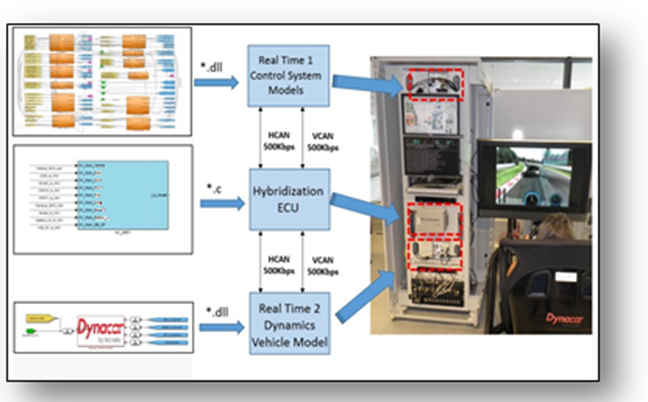 Figure 2 E-AWD distributed complex plug-in hybrid architecture. 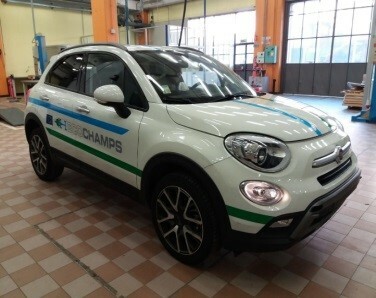 The plug-in hybrid demonstrator vehicle, based on the FIAT 500X, meets near all the ECOCHAMPS targets despite severe issues with the supply of the JMBS traction battery (in the vehicle validator replaced with a Li-ion A123Systems based solution CRF had to develop in house). Due to the significant delays, CRF had to complete a comprehensive part of the final evaluation after the end of the project (April 30th, 2018). The final assessment was carried out between the second half of March and the end of April 2018 on closed test tracks within FCA facilities in Orbassano (Centro Sicurezza) close to Turin (Italy), partially under the supervision of the Golden Engineer. For noxious emission, the EURO standards have been considered, while for the remaining EURs, standards (for instance for safety) and industry practice (Noise Vibration and Harshness and Reliability) have been used. Enhanced Thermal Management through an innovative multi temperature coolant circuit concept to better cope the high efficiency targets with the passenger comfort in the different vehicle modes (engine on and off, pure EV etc) thanks to a 4-way valve and its proper control. Smart Energy Management (e-horizon based): adaptive‐predictive control strategy designed and implemented to pre‐calculate the total trip energy needed and the remaing energy needed for the trip. 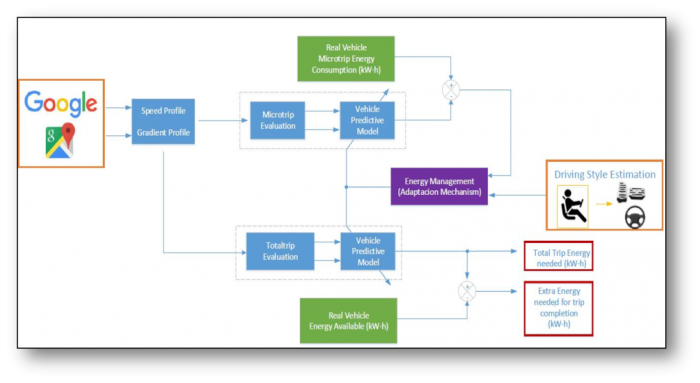 Adaptive predictive backward Quasi‐Steady State (QSS) Vehicle model to predict on board the energy consumption of a real trip by using trip information and driving styles.